There is nothing quite as refreshing as a glass of Elderflower Cordial mixed with sparkling water in summer. You know summer is on it’s way when the tiny white flowers start to bloom everywhere, releasing their sweet, musky smell into the air on a sunny day. 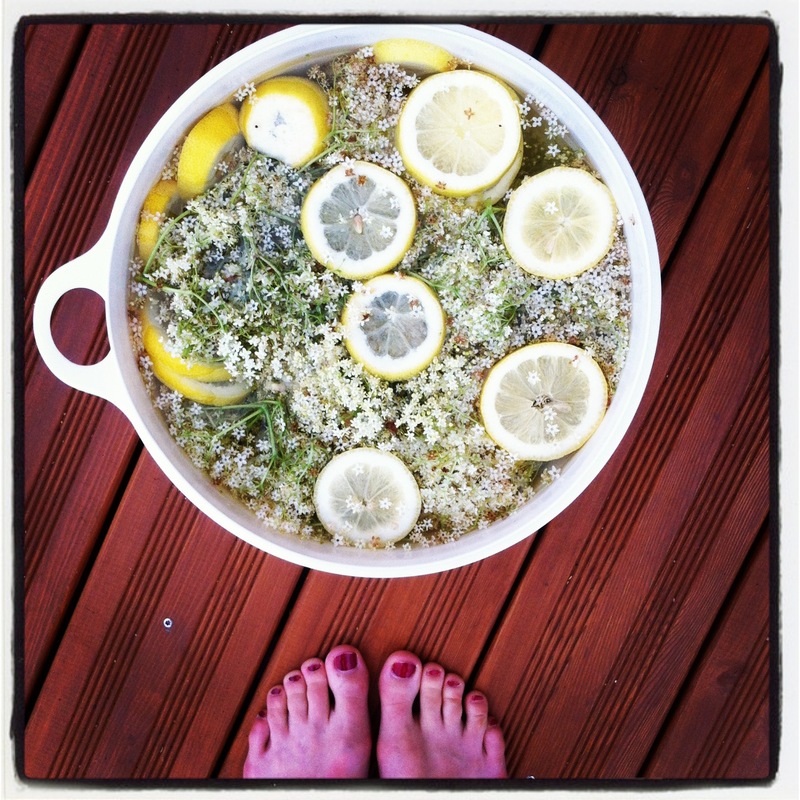 Elderflower Cordial is super easy and fun to make, and if done right, it will last several years. It’s a fantastic gift and a fun project to do with your kids. Ideally, you want to pick the flowers at the end of a sunny day, that’s when their aroma is best. Remove the flowers from the green stems if you can as they have a bitter taste. Add the flowers, lemons and citric acid to a large bowl and pour the hot water over everything. Cover with a clean kitchen towel and let it stand in a cool place for 2-3 days. When the mix is ready, pour through filter paper into a large pot. Make sure you boil your bottle caps in hot water for at least 10 minutes and wash your bottles thoroughly with soap and hot water to remove any germs. Bring your solution to the boil and add the sugar bit by bit until it is fully dissolved. Fill your cordial into the bottles while it is still hot, trying to fill the bottles to the very brim so no air can get under the lid. If stored in a dark and cool place your cordial will last several years in the sealed bottles! Elderflower Cordial tastes fantastic mixed with cool sparkling water, or you can add the syrup to cakes and deserts. I like adding a few leaves of lemon balm to a glass of sparkling elderflower pressé. You could also soak a few stems of lemon balm or mint in your elderflower solution before boiling it to give it a hint of that fresh minty taste.